It’s official: our nursery is completed. Baby, you are now welcome to come whenever you darn well please. Any woman who’s been pregnant (or any man who’s had a pregnant wife or girlfriend) knows that moms-to-be take baby preparation very seriously. I’ve wanted everything to be perfect. No, it’s more than a want… it’s a persistent voice in my head nudging — nay, tormenting — my psyche until everything is just right. Do I sound a tad crazy? At times I feel it. I guess the preferred description is “nesting.” Ah, yes, that makes me sound less crazy and more cute. So this cute nesting phase I’ve been going through can get rather expensive. After all, what parents-to-be don’t want the very best for their baby, even if it means spending a little extra? But if there’s one thing I’ve learned in the past few months, it’s that I can both stick to a budget and still be happy. Using the budget we’ve decided on for baby preparations, I can pick and choose which items are worth a higher price tag and which items I’m willing to buy cheap or used. 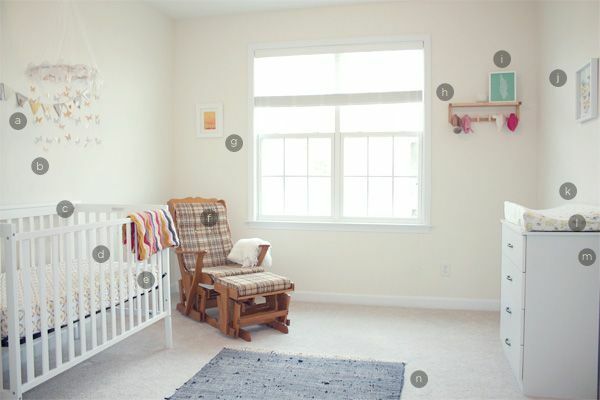 To see more photos of the nursery, click over here. 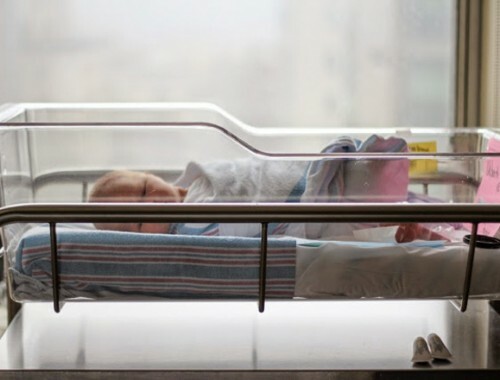 If the thought of seeing more baby human room photos bores you to tears, keep on reading. Some of these items were gifted (such as two of the frames). And other items we already had (the shelf and rug), so we ended up only spending about $335 total on the nursery. Neither Johnny nor I like pink much. We wanted gender-neutral furniture that would work if Our Freaking Baby #2 is a boy or just in case Our Freaking Baby #1 was hiding something during its gender ultrasound. We consider a lot of this furniture an investment for future little humans, which is why we were willing to get quite a few things new. I can’t help but feel giddy every time I walk past our nursery, and the fact that it didn’t rob our wallets is just icing on this baby cake. 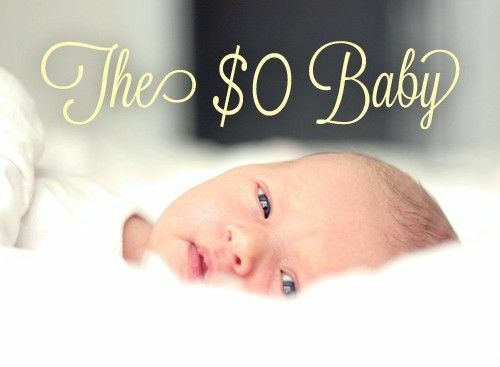 What baby items are splurge-worthy to you, and on which ones have you found the best deals? What’s the most you’d be willing to spend on furnishing a nursery or kid’s room? We spent probably $250… but that’s not fair because my mother in law insisted that she buy us a crib (apparently she got her son an entire bedroom set thingy and she was shocked I really only wanted a crib). Of that $250, $160 was spent on the glider. Other than that we had everything else in our basement. We had to go gender neutral since we decided the baby was going to be a surprise. Also I love the way your room turned out, it looks like something pottery barn kids would charge $1000+ for! Thanks! I wouldn’t have minded if a family member had offered to get us a big ticket item, but no dice! Kudos for keeping it under $250… we’ve gotta save wherever we can with these pricey babies! 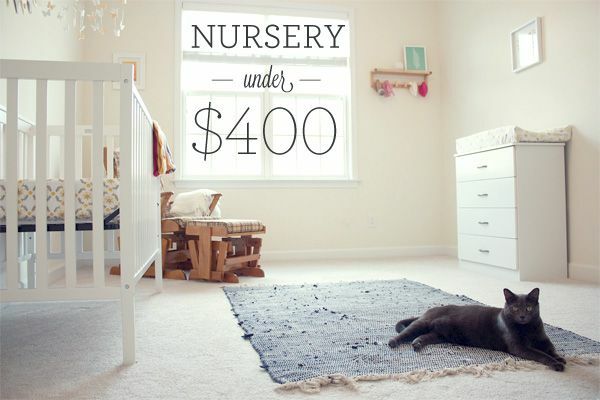 Look so sweet and so similar to ours, I have to do a post about my uber cheap DIY nursery. We inherited my husbands grandmothers vintage Boston rocker which I love (and can return when I’m done, bonus since I have no room to store it!). I’ll get on it and do a post to show you guys what we managed for under 100 bucks out-of-pocket expenses. Yes, I’d love to see a post about your nursery! I love getting ideas from what others have done! Beautiful nursery! I looooove it. I made a pennant for my girls’ room (is this a pregnant girl thing? ), and we, too, avoided the pink scheme with Remmy. Three girls later, I guess we could have gone with pink, but their room is still pretty neutral. We passed by the pricey nursery furniture and bought all IKEA, which ended up getting A+ safety ratings. Their cribs converted into little toddler beds, which they’re using now. Thanks! And, yes, the pennant must be a pregnant lady thing… I saw something similar on Pinterest and all I could think was, “Must make. Must make. Must make.” You get the idea. And IKEA is a dreamboat when it comes to nursery stuff. Our closest one is 2.5 hours away (bummer! ); otherwise we would have gone that route for sure. I know you’ve been in suspense all this time, Joanna, haha…. here’s a picture of our crib/pennant. I’m pretty bad with a sewing machine, so I conned my mom into helping me out, or it would have quickly become one of those craft fails on Regretsy. How do I see it? Is there a link hiding somewhere that I’m missing? The suspense really is killing me now! I would say that when we did ours a few months ago, we came out at about $600. My mother in law bought the crib, but we spent a pretty penny getting my wife’s great-grandfather’s rocking chair redone. It has been in the family, but it is well built and now looks awesome. Nice job on the room and the budget. Adorable! This is exactly how I would want my nursery to look (hypothetically… in the future… far in the future ). 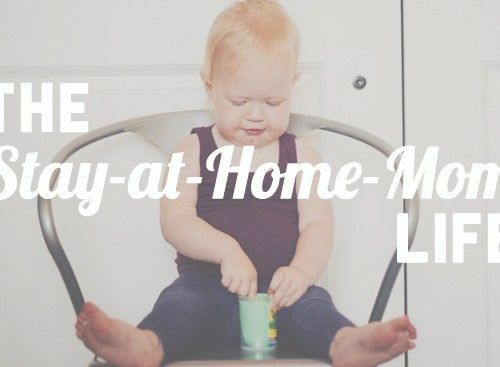 Love how simple the set up is… you’ll have plenty of room for all the clutter that a baby brings into your life. Cute clutter, but clutter nonetheless. Thanks! And, haha, the clutter has already started to build! You should see the room today… I’ve added a swing, bouncer, stroller, car seat. Haha, our baby’s taking over before she’s even born! Looks so good! I love that it’s more neutral. And a great price! Thanks! It was a drawn-out process, but totally worth it in the end! It looks great! Much of the stuff we got was gifted to us so thankfully there was not a whole lot of spending on our parts. The major purchases was cribs/beds for #2 & #3. We went with fairly gender neutral colors as well, can’t imagine our two boys wanting to sleep in a pink room! I’m sure your boys are grateful you didn’t go with pink! And although the nursery is neutral, our baby’s wardrobe is a whole other story… pink EVERYTHING! I love the clean look of the nursery. That is the look I like but my wife not so much…needless to say ours is pink…..and I dont have any say. When I was pregnant with my first, nobody believed I was having a girl because of the way I carried. They kept telling me the doctors had to be wrong. We did a pretty spring green with white wanes coating and black furniture. I did register for pretty pink and brown bedding and I got it along with a ton of precious girly baby clothes. My daughter was due 1/16 and my mom had decided to move 900 miles away and was leaving on Christmas Day. The weekend before Christmas I had a nervous breakdown, because all the baby clothes still had tags and all the bedding was still in its wrapping. Nothing had been pre washed (I had read that everything needed to be washed) and I did not feel ready. However, my mom had to come and do it all, because people had me SO SCARED that I was going to bring home a baby boy to all this pink stuff! I even insisted on the take home outfit being white! Luckily it was all just paranoia and hysteria, because I brought home a gorgeous baby girl. And her baby sister came along 17mos later! We spent very little on our nursery furniture also. We kept it to a crib, a dresser and a low bookcase for toys. We lucked out on a free crib. My mom bought one for her guest room when my sister had the first grandchild. Then she realized a folding playpen stored in the closet was a better solution than permanently taking over the guest room. We benefited from her wanting to get rid of the barely used crib. We put a change pad on top of my childhood dresser. We invested in new knobs for the dresser, but left the slightly chipped finish alone (remember when it was called “Shabby Chic”?) We had already installed wooden venetian blinds in every bedroom. I picked up picture frames at a garage sale, repainted them and then printed off enlarged photos suitable for the child (flowers, baby animals, cars, trucks, boats, bugs etc). For shower gifts we received sheets, the change pad, and lots of supplies and clothing. We could have left it at that, but both times we invested in drapes and good linens for their future single beds. Crib linen sets are the biggest waste of money ever. It’s often the first purchase expectant parents make and then go on to decorate the entire room based on that color/theme. If you read the package it tells you to remove the pillow and quilt before putting the child in the crib. Three seconds later there is some bodily fluid on the sheet so you replace it with a non matching one. Now you’ve got a room decorated around a bumper pad! Then, your child turns out to be a monkey and starts climbing out of the crib at under a year. Now the bumper pad is gone too. Instead we bought drapes and linens for the baby’s future single bed. We put up the drapes and stored the linens and just got plain coordinating sheets for the crib. When the crib is replace by a single bed, the new linens come out of storage and nothing else needs to change – the lamps, rugs, artwork etc were all chosen to go with the “big kid” look of the room. 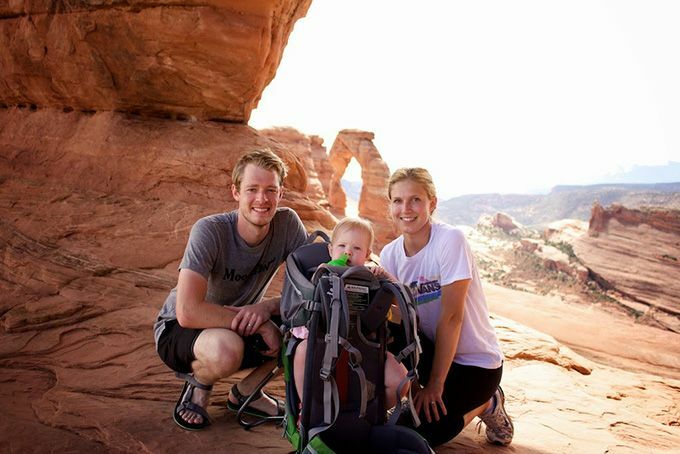 We didn’t bother with a chair for either baby – I wound up nursing them wherever I happened to be when they were hungry. Once they moved to bottles, I needed the kitchen to warm them up so I never felt a need to sit in their rooms. We kept them in our room for the first 2-3 weeks for night feedings, and they were both going through the night by 8-10 weeks, so a chair for 2mths of night time feedings seems pointless. At age 3 we bought a proper upholstered armchair for their rooms so we/they could curl up and read. The throw pillow on the chair reflects their ages but the upholstery is neutral enough that they will likely take those chairs to their first apartments. This is absolutely beautiful, and that’s the best that you were able to do it so cheaply. I am pregnant with my first baby and have chosen to DIY a lot of her room, doing a nursery reveal soon too. We saved so much money by custom making a lot of things & it’s exactly what we wanted.